The Viola plants that we grown then garden and in containers are either Viola odorata or Viola cornuta cultivars. 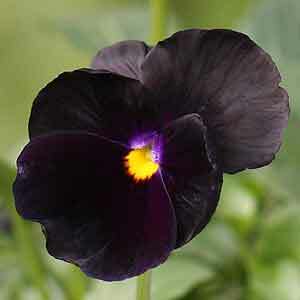 Although Violas and Pansies are related, they are different in a number of respects. Viola flowers are smaller, and they do not have the ‘faces’ of their relatives. These are a winter flowering plant and in Australia you can plant them as soon as the weather cools down a little. They look great in hanging baskets, use them beneath roses that are bare this time of the year, or mass plant them in the border. Perhaps fill an old wheelbarrow with them, or any container you can find. Although the flowers are small, they are colourful and numerous. From white through to yellows and deep purple (almost black) you can use them as fillers anywhere in the garden where they get good winter sun. Grow them from seedlings, or sow seeds from late summer to early in autumn and plant them out when they reach a good size. Seeds may take 2 – 3 weeks to germinate, and a little darkness will help. V. cornuta ‘White Perfection’, white flowers as the name suggests. V. odorata flowers and plants or Sweet Violet is an old fashioned garden plant. Growing to 50cm and preferring a moist humus rich soil in dappled shade. V. dissecta is well worth looking for as well. V. labridorica – The Purple perennial violet.